No doubt many fans were disappointed by the recent news that the plug has been pulled on Disney Infinity. The ambitious toys to life project brought together numerous franchises from across the Disney portfolio and it seemed to be a moderate success, which made the sudden axing of the game all the more jarring. No concrete reasons were stated for why exactly the project was ended, but some rumours have begun floating around. Kotaku claims that it recently got in touch with some sources that were close to the project, so naturally this is to be taken with a grain of salt. As for what was being planned, Disney Infinity 4.0 was to release next year, and the big feature for this iteration would've been the addition of larger, 12-inch figurines of popular characters. These would've had unique properties in-game, been able to light up, and would've cost roughly $45/£31. Disney Infinity 4.0 would've contained content related to Cars III, Star Wars: Episode VIII, Pirates of the Caribbean: Dead Men Tell No Tales, Coco, Guardians of the Galaxy Vol. 2, and Thor: Ragnarok. As for what brought the project down, toy manufacturing issues led to major problems in keeping the project profitable. Toys for Disney Infinity 1.0 were notoriously hard to find, so there was a more concentrated effort to produce enough toys for 2.0 and on. Unfortunately, this increased stock was misjudged, and there ended up being way too much left over. Additionally, the competition from other toys to life games and, oddly enough, Star Wars Battlefront, stole thunder from the game and cut into profits. What do you think? Would you have liked to see some of the suggested ideas come to fruition? 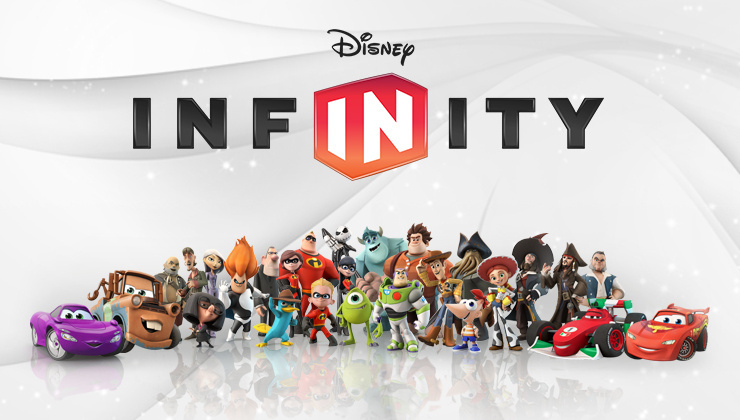 Will you miss Disney Infinity? Share your thoughts in the comments below. Mitch has been a fan of Nintendo ever since he got his start on the GBA in 2005. When he's not busy playing games or writing, you can find him down at his local MMA training facility learning how to punish the unrighteous. I never bought an Infinity set but it seemed each iteration did get better. It would have been neat to see what 4.0 would have brought. I guess it makes sense why Nintendo was tight on supply in the beginning as well, getting stuck with a glut of inventory is not good for the bottom line. @Gerbwmu if I could find a set for cheap I might pull the tigger. I would expect that they will get bargain bin pricing before long. Wow... one can't get enough stock (well, on older lines), another has too much... bizzare. But it makes sense. I wouldn't have bought any 12 inch figures. They should have been smaller. I think the regular figures are already too big as it is, but I like tiny figurines so maybe I'm in the minority. Okay then, nothing big was canned imo. I just wanted a game dedicated to just original Disney properties and not those they simply bought up. I mean, where's Peter Pan? Simba? Beast? Snow White? Pinocchio? All these classic and timeless characters and you decide to overlook them in favor of Marvel, Star Wars and Pixar. Look, I get that you wanna promote your movies but who wants Jolie-Maleficent? I'd much rather have the original, far superior version. sigh, I was hoping the series would hold on long enough to hit more of the 90s disney movies and cartoons. I'll never get Tarzan or Goliath/Elisa Maza figures now. I'm still in shock that Disney Infinity is gone. Oh, no Kingdom Hearts Play Set that gives the characters that don't have a Play Set for themselves a place to shine in their worlds, but can still be completed with just Sora? Well OK.
@GoldenGamer88 Peter Pan was voted to be playable by fans for this year, but it seems that's not happening anymore. It's too bad Avalanche Software closed down. They had a lot of good developers there. Hopefully they get hired elsewhere soon. If the Star Wars related 3.0 couldn't save the series, this weak 4.0 iteration wouldn't could have done that, either. Anyways, 3.0 was a bugfest with bad controls. Was my first contact with DI and I brought it right back to the shop where I bought it. Well, this is the first time I've heard of Cars III. I thought that one was dead after the train wreck that was Cars 2 and that weird Planes stuff? Did they make those sets up at Kotaku or is that actually a thing that's happening? @Tsurii Ha, unfortunately that IS happening. Like it or not, Cars is a serious cash cow for Disney, they'd be leaving money on the table by not making this. I was so glad my children never got into infinity. We have plenty of skylanders (which bizarrely get played with as toys). More tat about the game corner would not have been welcomed. 4.0 seems like one big advertisment for each new property Disney has got their hands on. They should have released more older characters. I don't thin it was battlefront it was the gated content you have to pay for in expensive plastic figures and the fact figures are a required to enjoy the game. If they would simply release a version without the toys to life requirement. I think they could've profited from star wars like battlefront has. Enjoyed these games maybe some other deveoper will pick up this great franchise. From what I understand, the first two weren't very good games, but the third one was supposed to be quite decent. I haven't bought any of the three franchises, but Lego Dimensions is the most appealing to me. Lego titles in general are great, the physical sets look fun and can do more than the Skylanders and Infinity toys, and a Lego set is always cooler than a caricatured immovable plastic figure. It's a shame, but I get why they couldn't stand up to the competition. You know, I just got interested in the series with the news about Marvel Battlegrounds and started doing research on Monday late night. BestBuy had a deal that you get the Capt. America Battlegrounds play set free if you bought a starter edition. I looked at it, watched a couple YouTube videos, and was like "whoa, this doesn't seem that bad, I might bite the bullet on this". After an hour of research and whatnot, I saw on one of the YT vids a comment about them shutting DI down. Talk about the hype train coming to a screeching halt. I'm currently debating about buying a bunch of the Marvel ones (can get them for 7.99 w/Gamer's Club membership) and just having them sit next to my amiibo in display fashion. I'll flip a coin or something this weekend and go from there. It's a shame, but I don't think the games themselves ever really found a good footing, and I'm bummed that we'll never seen Darkwing Duck or Gravity Falls truly represented. At least there's a bunch of great looking figures like Baymax that will continue looking great as paper weights, along with whatever other user-generated content is created before they completely disconnect everything. I have to say I took the plunge with 3.0 although my son had the first 2 on his Xbox, and I really enjoyed it. However it is just a great big toy box really and can be quite shallow. Once I had the figures I really wanted (and the ToyBox Takeover add-on) I really lost interest. I still play it, but don't feel I need to buy anymore stuff, which if other people feel that way is like death to a Toys to Life game like this. Yep. We're not getting rid of Cars anytime soon. I'm willing to forgive the existence of a third movie only if Herbie gets to cameo, which would also mean there would be a Cars Herbie... er, car toy. Which I would then buy. @Gerbwmu Yes. Yes you should. All three Star Wars sets are fantastic, and Infinity 3.0 in general is easily the most polished version, should you wish to explor the toy box & other games. You should be able to pick up the starter set (with 2 characters and the Eps 1-3 game) and the two playsets (Eps 4-6 and Force Awakens) cheap - I've seen them for £16-22 each in stores - probably less if you bulk buy a set on ebay (btw those 6 figures are all you'll actually NEED, unless you WANT to buy more). As a family of Star Wars fans I can say we've had a lot of fun with them. I'm very sad that they stopped developing more, but the large figures and selection of new playsets mentioned here sound like a bad idea... I would have been actively annoyed at new toys that could not easily be displayed alongside the others, and we needed more franchises, not more Cars and POTC figures (though the Cars and POTC are actually 2 of my favourite playsets). They just needed to bring more classic characters, films and parks "stuff" to expand the "Disney"-ness, rather than only Star Wars and Marvel & the latest CGI film. I'm sad that we will never see Oswald, Daisy, Goofy, Lion King, Ariel, Belle, Beast etc figures, or more Disney Park rides/attractions for the toy box. I know this has already been touched upon by other people, but by the looks of this, 4.0 looks as though it would've mainly just been advertising, with very little classic Disney. Not really all that satisfying...assuming this is true, of course. lol the big "innovation" for 4.0 was going to be more expensive toys? Even more glad this died. The bigger, more expensive toys had zero appeal. However, the thing that had kept my interest on DI 3.0 (but price prevented action) was the Toy Box Takeover and Toy Box Raceway stuff. It is a shame it sounded like 4.0 would have finally brought what was most appealing, a story mode that actually used any figure released. Still a might fine shame a great franchise is no more. Not surprised by the oversupply with 2.0 since I heard about stores being stuffed with unsold Hiro figures. I am kinda surprised Big Hero 6 didn't get more representation. We are entering a gaming rescission right now. By the time Infinity 2.0 was released, amiibo were right around the corner. Coincidence? Disney may have overcompensated for a sizeable group of potential buyers that had already turned their attention elsewhere. As for the initial stock shortage, scalpers may have also helped create something of an artificial demand, and they too may have shifted focus with the arrival of amiibo. I never played the Infinity games, but I always thought the figures looked nice (even more so than most amiibo, honestly). Now, I'm tempted to buy some favorites before prices become inflated. Hopefully, they'll all go on sale just before that happens. Well, the figures will start to go up in price on Amazon and EBay, but most will be put on clearance racks in stores...then, if you don't have, you'll be paying expensive money for...imagine what they will be worth in another 10-20 years! Since I just recently bought part 1 and part 2 in a yard sale ($10 for both starter packs for PS4 was a nice touch...unopened and still sealed no doubt), then I guess I'll have to grab a few of the figures before they're gone and before I eventually pick up Lego Dimensions...other than that, I kind of saw these Toys To Life Games coming to an end soon...with the exception of Amiibo...I was just thinking that Skylanders would be the first to go...guess Skylanders will probably be the next though. Back to the topic about Disney Infinity 4.0...sounded like it could be fun, but at $45 per large figure...they could have killed themselves with that price...could you imagine what the starter pack would cost??? I looked at the Kingdom Hearts 3 Trailer and the art style seems to be somewhat similar to Infinity but with more story and contents. It is supposed to come to PC so my kids would finally be able to play it. My kids are like me and they like good stories which the DI series lack. They got bored with DI quickly. As a star wars fan myself I like the single-player Knights of the Old Republic and its sequel a lot more. @View92612 Where did you hear that? @Luffymcduck The life and times of Scrooge McDuck would be wasted on this generation. Rumour: Did Reggie Just Give Us Our First Glimpse At A New Retro Studios Project?